An alliance to draw more mainland Chinese gamblers to the Philippines will see Japan’s Universal Entertainment Corp and Chinese travel agency CTS Shanghai Zhongqiao International Travel Service Co Ltd offer package tours. The tie-up would see the development of “sightseeing tour packages” to the Okada Manila casino resort in Manila. The casino resort’s owner, Universal Entertainment, told the Jasdaq Securities Exchange on Thursday that both parties had signed a letter of intent. “The company and CTS Shanghai Zhongqiao International Travel Service Co. Ltd will commence the discussion on efforts to plan and develop sightseeing tour packages for attracting tourists to the Philippines in the Chinese market,” Universal Entertainment told the exchange. The companies agreed to begin their discussions on Friday and end them on April 24. “A cooperative relationship with CTS Shanghai Zhongqiao International Travel Service Co Ltd, one of the three largest state-operated travel agencies in the People’s Republic of China, would serve to expand tourism business in the Republic of the Philippines, attract tourists from overseas to the Okada Manila integrated resort operated by the company group in Manila, the Philippines, and so forth,” Universal Entertainment said. The travel agency is a Chinese state-owned enterprise that groups together more than 100 travel agencies and travel industry vocational schools. Universal Entertainment said the Chinese company arranged for Chinese to travel at home and abroad, and employed about 10,000 people. 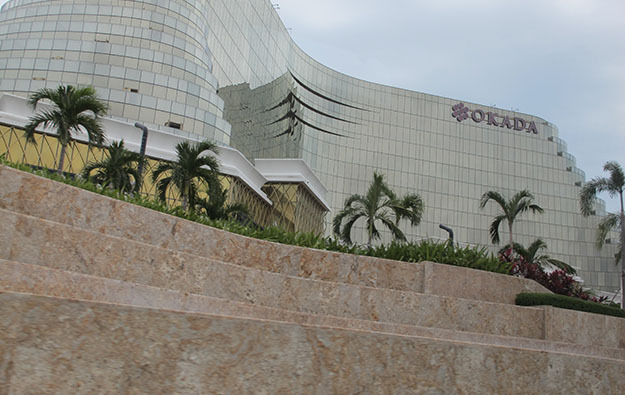 Last May, management at the Okada Manila announced plans for an expansion of the gaming floor, a VIP-only casino facility, new restaurants and retail attractions to increase footfall in the casino. But the highest priority for any upgrade would be to boost hotel rooms at the casino resort, the company said. Earlier this month, Universal Entertainment reported that the Okada Manila generated gross gaming revenue of nearly PHP27.22 billion (US$515.97 million) in the 2018 calendar year – with slightly less than half of that sum generated by VIP gaming. Total GGR was comprised of VIP GGR amounting to PHP12.65 billion, mass-market table GGR of PHP6.84 billion and slot machine GGR of PHP7.73 billion. The CTS network, or China Travel Service as it is sometimes known, typically caters to mainland China’s budget and mid-market holidaymakers.